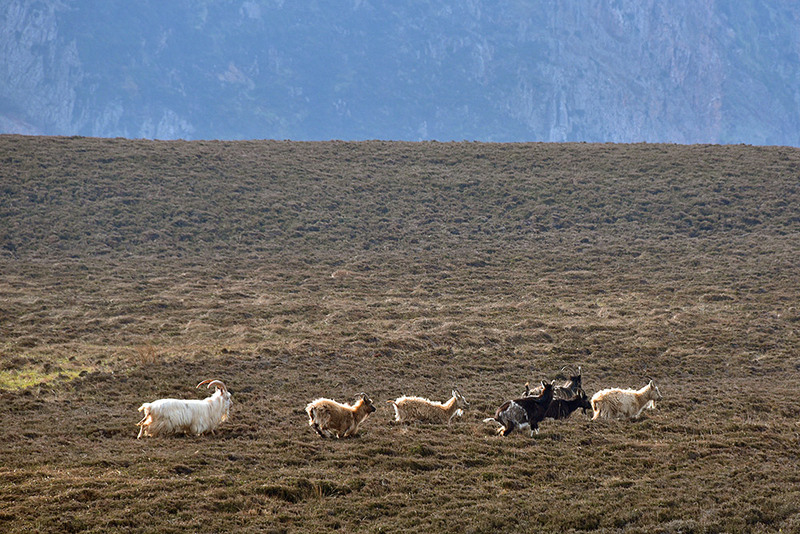 Spotted during an Islay walking week walk on the Oa, a herd of wild goats on a heather covered hillside. 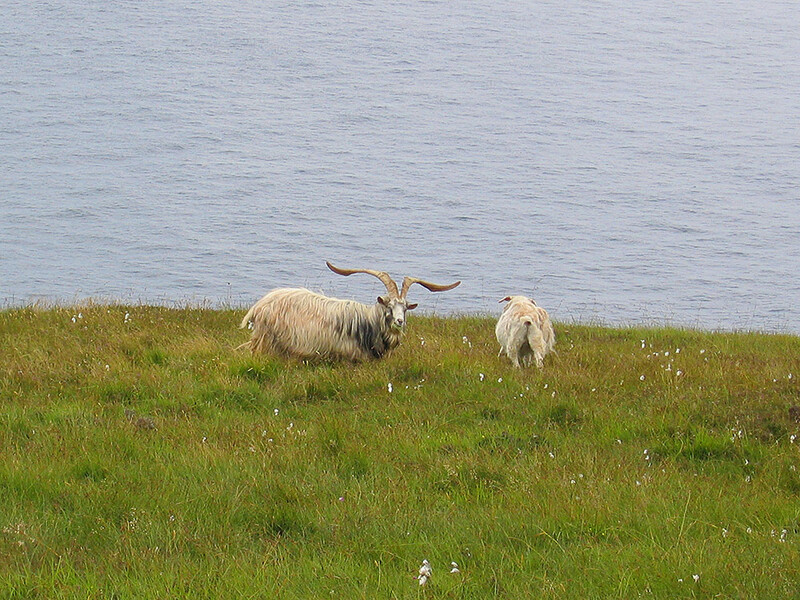 Two of the many wild goats living on the Oa in the south of Islay. 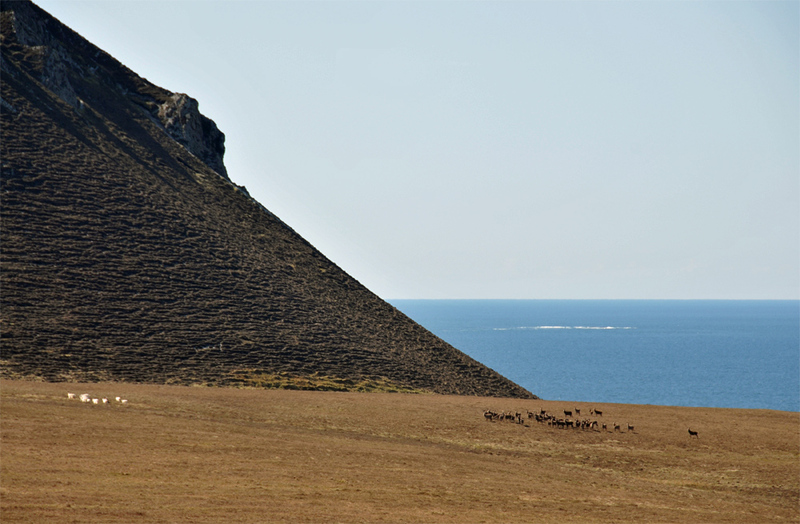 Not far behind them the cliffs drop straight down to the Atlantic. Picture courtesy of my sister Imke.